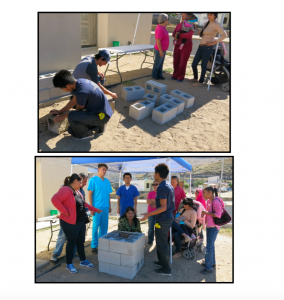 IHC members volunteer to build clinics in Tijuana to strive toward creating a community that has long-term and sustainable access to healthcare, gaining meaningful patient experiences along the way. Among the numerous volunteer student organizations at UC San Diego, the International Health Collective, stands out as a student-run 501(c)(3) nonprofit. Members do various community service projects, primarily in the San Diego and Tijuana regions, as well as a satellite projects further down in Baja California Sur. 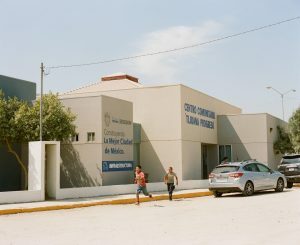 Their longest running project is a monthly pop-up clinic in Tijuana. Daryn Longman, a UCSD alum, is CEO and co-president of IHC. She mostly handles administration tasks such as organizing the meetings, social events, and most importantly, guiding and deciding the type of projects members will undertake. “Right now we are applying for [Institutional Review Board] approval to perform research on a new clinic site that we’re moving into, so I was working with one of the project managers and directors of the community health workers program to look over what he’d done with the form, and then develop the needs assessment — the questions that we’re going to ask the community members when we go in,” Longman said. 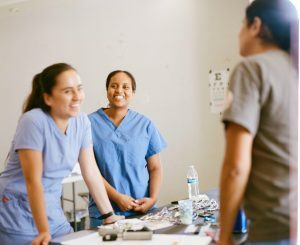 IHC was founded in 2013, by two UCSD undergraduate students who were interested in starting an organization to provide free healthcare in Tijuana. Ashley Du, a first-year graduate student in the biology BS/MS program at UCSD, is the administrative director of the leadership board of IHC. She believes the members’ freedom to organize everything and make important decisions, yet have the guidance of a truly interested advisor, is a huge part of what makes IHC different. Du also thinks that long-term success is an important aspect to get right in volunteering. Members also try to get local doctors to join. Training community members to handle emergencies themselves allows for more efficient help. This way, IHC can make sure that one day each community will eventually be established enough that it can move to a different community with higher needs. 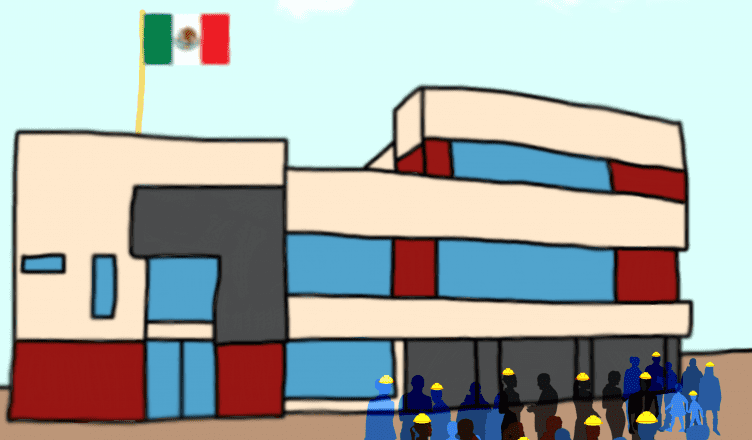 One story IHC is very proud of is about a woman from the community of Tijuana who had helped connect them to her community and start the clinic. In return, IHC was able to pay her fees and send her to nursing school in Mexico. Once IHC built a pop-up clinic, and the area started to develop more, the organization moved to a more isolated, rural spot further from the border and did a new needs assessment in that community. “They helped us with the transition and showed us everything,” Longman said. A large portion of the organization’s funding comes from membership dues ($20 per quarter) which goes toward clinic costs, transportation, and providing food at some of the events. They also have some consistent donors and are currently applying for grants. Longman has also been involved in creating other crucial projects, such as the peer mentorship program in San Diego, which started in Clairemont High School and is now going to be in Hoover High School and Mar Vista High School. The program partners an IHC member (college student) with a high school student. “It’s just sort of a mentor and guide program to help them [decide] whether they want to go to college, [how] to navigate FAFSA, and show them how it is possible. We were primarily focused on English language learners — people who were classified as not having English fluency,” Longman said. Du stressed the importance of this program in helping low-income or disadvantaged students especially. Some of IHC’s projects are not based on health or medicine, such as the community gardens project. Their experiences working with IHC has helped both Longman and Du realize what they wanted to do in the future. Longman is currently applying to physician assistant school. “I was a marine biology major, which was super fun. Even though I realized I wanted to go into healthcare, I never changed my major because I really loved studying it. Usually, [PA school applicants] are mostly physiology and neuroscience majors, so [IHC] definitely helped with giving me the extra experience,” she said. However, there are some difficulties that come with the responsibilities. Du initially found the language barrier hard to overcome, but it turned into a learning experience she was inspired by. “The best part is definitely interacting with patients at clinic. I speak zero Spanish — literally never taken it before, so communicating involves a lot of smiling and hand movements,” Du said, laughing. “But even without that, you can tell how appreciative the patients are of you. It’s very different, because I’ve volunteered at hospitals before, and nothing against the people of La Jolla, but they take healthcare to be something everyone has, while people in TJ really see us as a privilege. For one of my first clinic trips, I was taking the blood pressure of a patient, and they were like ‘Thank you so much,’ and I hadn’t even done that much. It really just shows you what to be appreciative of and that some people don’t really have what you do. That was the best experience. IHC accepts applications twice a year, during fall and winter, and forms for students can be found through its website. The organizations received about 100 applications this fall, more than all the previous years. Longman encourages students to join. “I gained a lot of healthcare experience that I wanted and needed just to apply for school, but I think the thing that I’ve really gained from IHC is an amazing group of friends and a community here at UCSD,” she said.